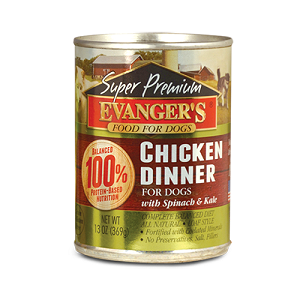 Chicken Dinner is a delicious grain free and gluten free dinner your dog is sure to enjoy. 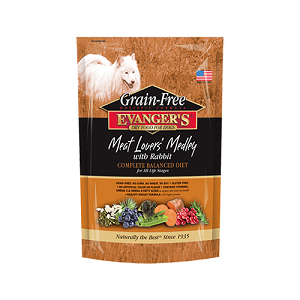 We now include the super foods Spinach and Kale in this formula for added natural nutrition. 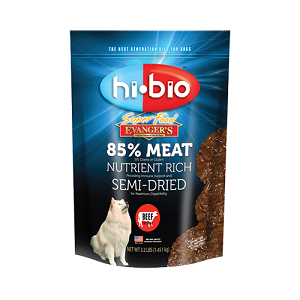 The gentle drying process of 85% meat and 0% grains or glutens offers dogs higher moisture levels than traditional kibble, making Hi‐Bio™ more easy to digest while enabling nutritional absorption. 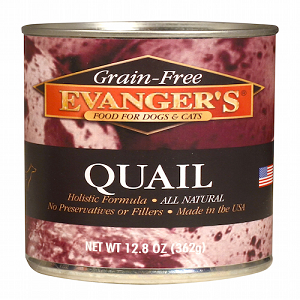 This provides a more palatable and healthy meal for your dog. 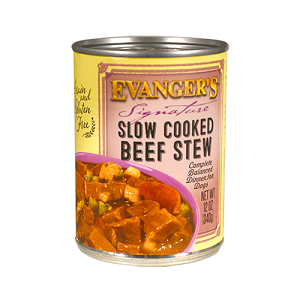 A grain free stew with diced meat and farm fresh vegetables are simmered in gravy for a delectable dinner. 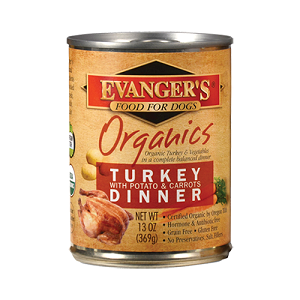 Organic turkey with organic market-fresh vegetables create a wholesome dinner. 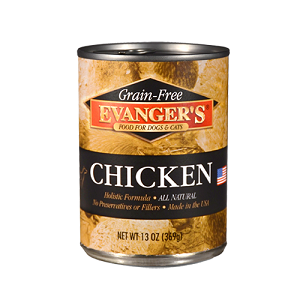 13.2oz. 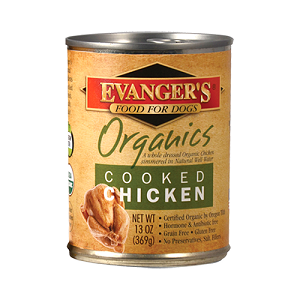 Fresh de-boned Chicken as its first ingredient, and uses nutrient-rich fruits and vegetables instead of grains for optimal canine health. 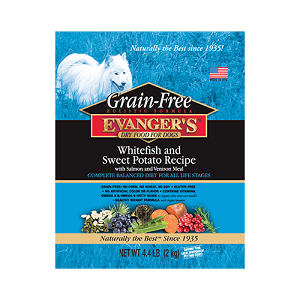 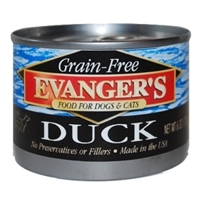 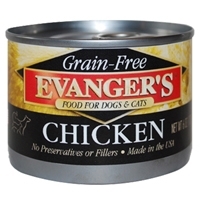 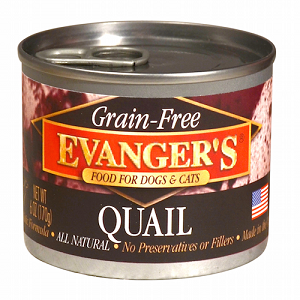 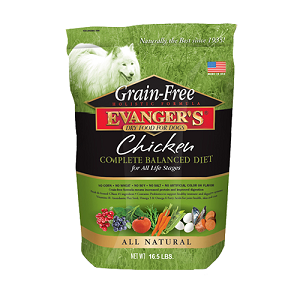 For all breeds and all life stages, Evanger’s Grain Free Chicken formula contains probiotics to support healthy immune and digestive systems, as well as flaxseed and omegas 3 and 6 for healthy joint, skin, and coat. 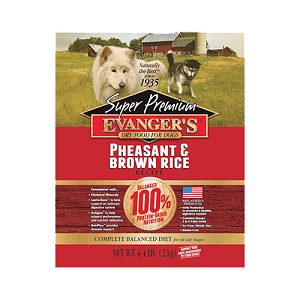 Evanger's Pheasant & Brown Rice Dry Food is formulated to meet the nutritional levels established by the AAFCO nutrient profiles for all life stages. 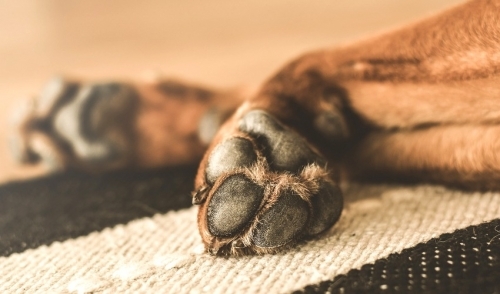 Puppies, pregnant and nursing dogs may require 2-3 times above amounts, and reduced for less active or older dogs. 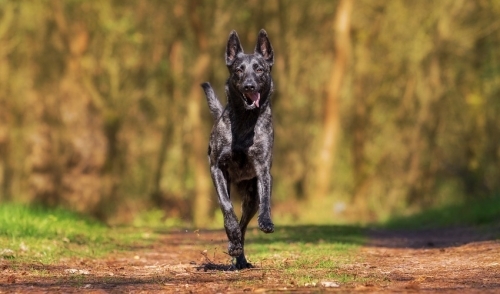 Amount of food your dog requires depends on activity, age, environment and breed. 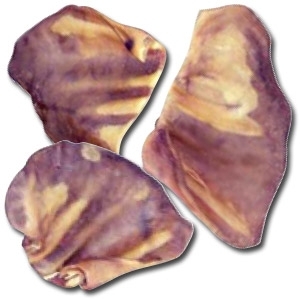 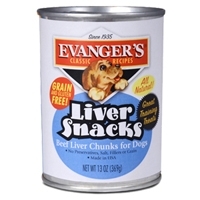 Large chunks of pure beef liver for use as treats or training bait in the show ring. 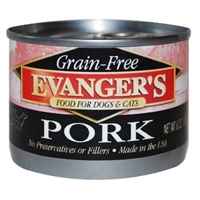 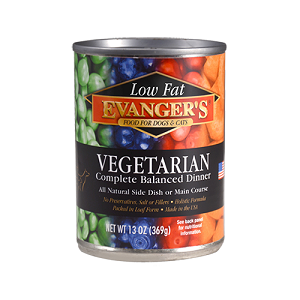 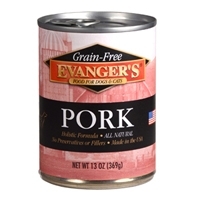 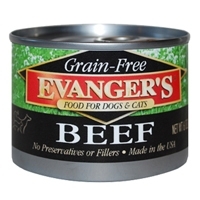 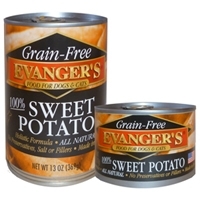 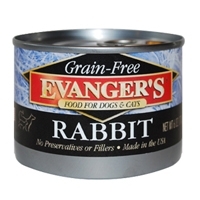 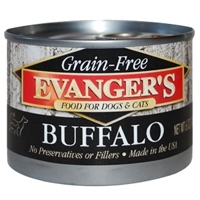 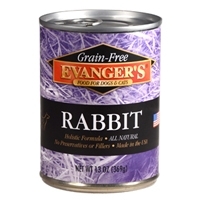 A popular product in the 1960s, Evanger's has reintroduced this unique product due to customer requests.